I don’t celebrate Easter, but I know many people who do so Happy Easter to those who believe. 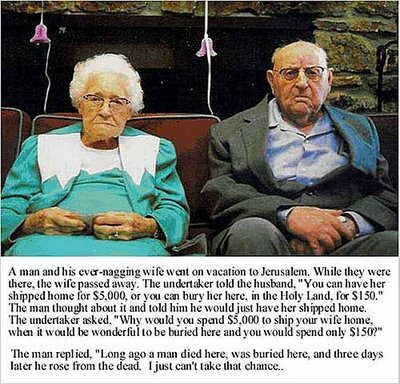 Here is a hilarious, Easter related, picture. You can’t argue with the guy! FYI: If you come across a man with holes in his hands and feet, don’t thank him for dying on the cross for your sins; he is not the resurrected Jesus Christ. The man has been shot. CALL THE POLICE and get him some help! My Contribution To Anthropology from August 2nd. I’m on a two day Spring Break, which is why the blog was naked yesterday!